UPSEE Result 2018 – Dr A.P.J. Abdul Kalam Technical University (AKTU) will announce the result of UPSEE tentatively in the last week of May 2018. The UPSEE 2018 result will display the scores obtained by the candidate. The rank secured by the candidates will be based on the performance of the UPSEE result. Candidates will also get to know the marks obtained in each subject as well as the total marks obtained in the UPSEE result 2018. Candidates can check the UPSEE 2018 result by mentioning the application number of UPSEE 2018 or the roll number of UPSEE entrance exam. Candidates will also have to download the UPSEE scorecard which they will have to submit at the time of counselling. The answer key of UPSEE 2018 was published on April 29. 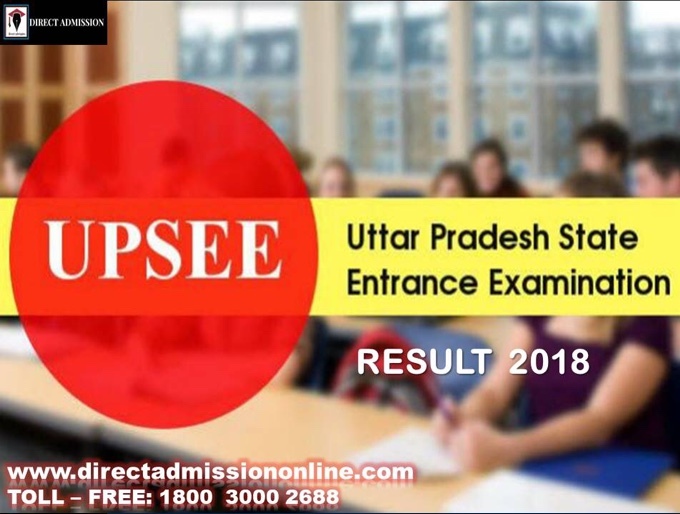 To know all the information about the UPSEE Result 2018, check this page for all the information. Candidates will have to follow the steps given below to check the result of UPSEE 2018. Dr. A.P.J. Abdul Kalam Technical University (AKTU) will release the merit list of UPSEE 2018 based on the marks secured by the candidates in the entrance exam of UPSEE 2018. The UPSEE merit list will vary for candidates belonging to different categories. Candidates scoring more marks in the UPSEE entrance exam will be ranked higher in the merit list of UPSEE 2018. It is on the basis of the ranks secured the candidates that they will be called for counselling of UPSEE 2018. In B.Tech in Biotechnology engineering and Agricultural Engineering, the rank of the candidate in the merit list will be determined on the basis of the marks scored in Paper 3 – AG-I, AG-II and AG-III sections. Meanwhile, in case of a tie in spite of the above criteria, the older candidate will be ranked higher. The answer key of UPSEE 2018 was released on April 29 in online mode. Candidates were able to download and calculate their probable secured scores using the answer key. The authorities of UPSEE accepted challenges to the answer key till Msy 7, 2018. Alll of the grievances had to be mailed to upseegrievance@aktu.ac.in with the supporting documents as proof for the challenge. Candidates can check the list of toppers of UPSEE 2017 in the table that is given below.